Proudly serving Mississauga & Brampton, ON. Undetected or uncorrected vision problems can cause children and teens to suffer academically, socially, athletically and personally. 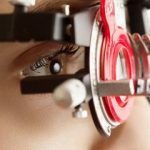 If your child is having trouble in school or afterschool activities there could be an underlying vision problem. Proper learning, motor development, reading, and many other skills are dependent upon not only good vision, but also the ability of your eyes to work together.